Having a firm grasp of renting costumes for theatrical productions throughout the nation requires an appreciation that there are always new shows coming out, and there are always new favorites and popular shows from season to season. With over 75,000 costumes in stock, this can make preparing for new show arrivals both difficult and easy. 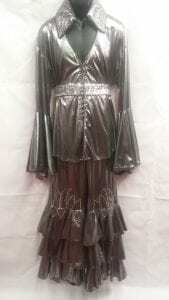 With certain period pieces, all we need to do is pull from our stock much beloved and fantastic costumes. 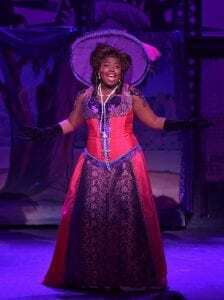 However, some shows require specific costumes, which means rotating our stock, and making room for the new. Listed below are the new productions we will have available for rental now or coming soon! A full list of our rentals can be found on our Theatre Rentals page of our website! 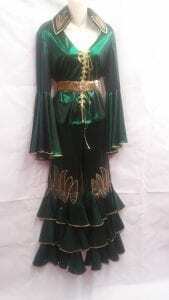 To request a rental, please follow the links for a costume plot or rental packet. Seize the day! 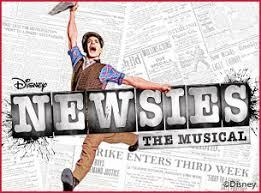 Available starting February of 2018, Newsies has become the most popular of our ‘Newly Available’ costume list. With Medda Larkin’s Vaudeville dress being described as a ‘showstopper’, it’s easy to see why people are already putting in their orders for Newsies this year! It’s filling up fast, so be sure to send in your requests as early as possible! Here we go again! 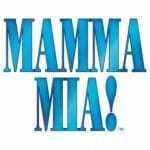 Mamma Mia has been at the top ten searched shows on MTI’s website since the release of its rights. Strung together with ABBA’s greatest hits including title song ‘Mamma Mia’, ‘Super Trooper‘, and of course ‘Dancing Queen’, it’s no wonder Mamma Mia is such a hit. However a hit like this always has a few key costumes that have to be perfect. 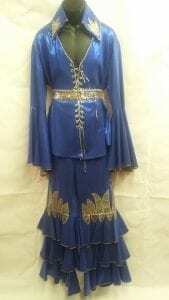 We’re of course referring to the iconic 70’s flared and colorful ABBA costumes. 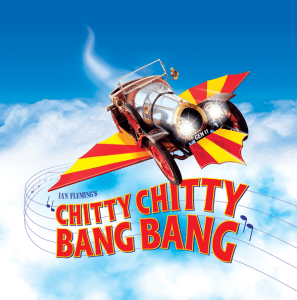 Take a ride with on the most magical car ever in Chitty Chitty Bang Bang! Join Caractacus Potts, Jeremy, Hemima, and Truly Scrumptious as they take on the Vulgarians in the early 19th century in England. With its colorful characters, it’s no wonder that this family favorite has been brought to life on the stage. It’s live in living color! Catch Me if You Can has been a colorful story of Frank Abagnail, Jr, that has flown into the hearts of many across the nation. Though with a show that needs a large ensemble such as this and needs a lot of costumes that match, such as the stewardesses, nurses, showgirls, and baseball girls. 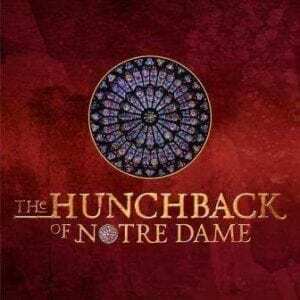 The Hunchback of Notre Dame takes Victor Hugo’s classic tale to life. Setj in Paris, France with the infamous Notre Dame cathedral as it’s backdrop is a beautiful story told by a congregation of actors that stand as multiple characters in the story, including the Choir, Statues, Gypsies, Revelers, and many more. We’re excited to finally have this beloved classic available for rental. If you don’t see your show in our list of available rentals, don’t worry! We have rented costumes for shows both fantastical and period specific outside our shown availability; simply follow the link, and contact us with what you are looking for. 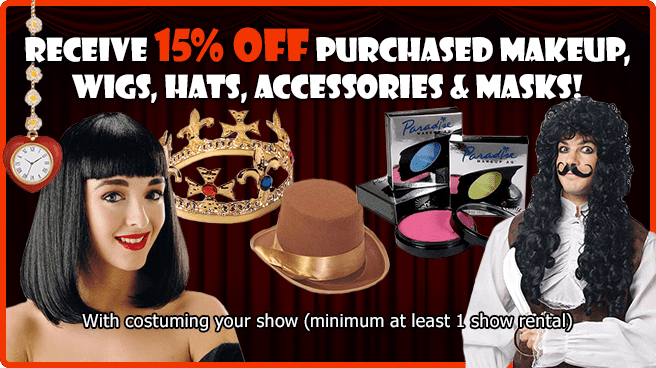 As always, any production of any size with the minimum of one costume rental, all purchase items (makeup, wigs, etc.) is 15% off with your Theatrical rental order. Check our website for what we have available.